What if the asteroid that wiped out the dinosaurs missed? 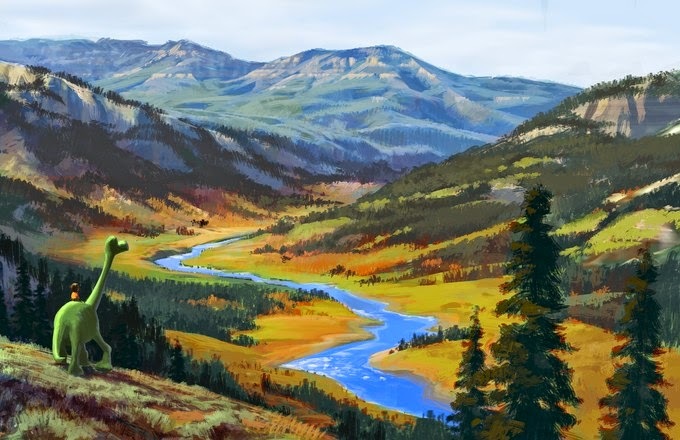 Presenting a new piece of concept art from THE GOOD DINOSAUR, coming to theaters November 25. Directed by Peter Sohn, who directed the Pixar short PARTLY CLOUDY back in 2009.